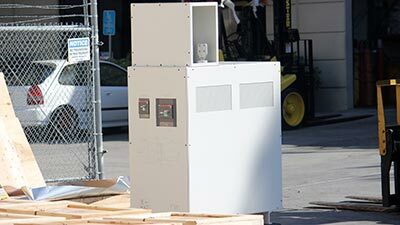 Power Conditioners are isolation transformers in enclosures assembled with a variety of associated electronic components to provide high levels of noise attenuation over a broad spectrum of frequencies. 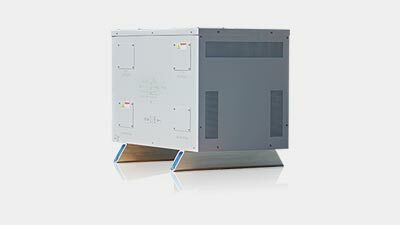 The main transformer design and selected components are chosen depending on the required level of noise attenuation. QT&E power conditioners work to both protect systems from voltage spikes and increase throughput on yield by reducing electrical interference that can disrupt equipment functions and production processes. Noise Cut Assemblies are designed to attenuate both common and transverse noise on the line. 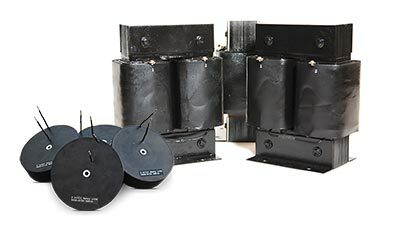 These transformers provide high levels of noise attenuation over a broad spectrum of frequencies. Phase Shift Transformers eliminate harmonics on the circuit that can have multiple affects including the cause of poor power factor, the overheating of standard transformers, the overheating of neutral wires, voltage distortion, and can be the cause of capacitor bank issues. AC Line Reactors help mitigate harmonics and because they are between the line and the drive, they are able to act as a buffer for surges and other transients. Smoothing Reactors provide a low impedance path to DC currents, while presenting a high impedance to the higher frequency harmonic currents and ripple in DC systems, thus reducing them. Harmonic Filter Reactors present low impedance to the harmonic currents desired to be filtered out from the networks, thus reducing harmonic distortion levels. Harmonic currents cause higher network losses, generally interfere with computer and telecommunications equipment and triplen harmonics cause high neutral currents. 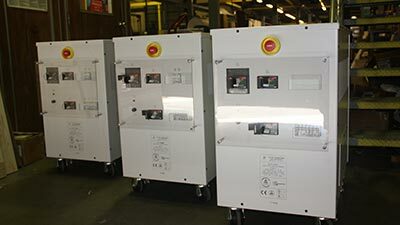 As manufacturers have moved to open facilities in locations throughout the world to produce their products, they have been faced with the problems of power quality. These problems not only stem from inconsistent sources of power, but to the growing sensitivity of the electronics used in the manufacturing processes themselves. The electronic systems used in the manufacture of various products can produce unwanted feedback onto process circuitry as well as back onto the power grid itself. Growing with our customers, Quality Transformer and Electronics has developed a clear understanding of the many types of problems that can occur and offers solutions to these issues. It is often forgotten that the main component of most power quality products is the electro-magnetic device that powers an electronic assembly or that stands alone to provide a power quality solution. These devices have always been our core products and we have incorporated them into solutions for providing clean power for our customers' manufacturing systems and processes.